West Covina Family medical center strives to deliver high quality medical care and urgent care services with compassion. Our practice is focused on treating the entire family including children, teens, adults and senior citizens. We provide specialized medical care for each individual and have worked with handicapped and developmentally disabled patients. Understanding the needs of our patients and explaining the treatments in simple terms helps us to provide the type of individual care our patients have come to expect. Our resident doctor Armen Nercessian D.O. has been practicing medicine for over 20 years and has extensive experience dealing with all types of health issues. Our medical assistants are kind considerate and well trained to make your visit as easy and as comfortable as possible. We love to practice medicine and we love our patients and that is why more and more people choose us as their primary care provider. Dr. Nercessian has been a practicing physician for over twenty years graduating from western school of medicine and conducting his residency at the USC medical trauma center, Dr Nercessian was born and raised here in Southern California and has been a private practice physician here for most of his career. As a family man with several children the doctor knows the value of pediatric care and early preventative medicine as well as regular check ups from an early age. 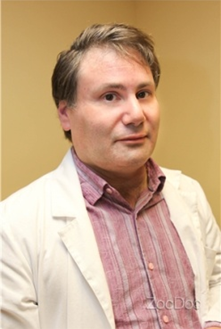 Throughout his professional career as a physician Dr Nercessian has treated numerous medical conditions effectively and has built a reputation as a kind and thoughtful doctor with extensive knowledge of the medical field.